Join the Federalist Society in welcoming Clark M. Neily, III vice president for criminal justice at the Cato Institute. Mr. Neily will be speaking about civil forfeiture and the case of Timbs v. Indiana which was recently argued at the United States Supreme Court. 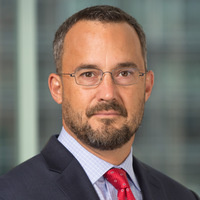 Mr. Neily’s writing has appeared in the Wall Street Journal, Forbes, and National Review Online, as well as various law reviews, including the Harvard Journal of Law and Public Policy, George Mason Law Review, Georgetown Journal of Law and Public Policy, NYU Journal of Law and Liberty, and Texas Review of Law and Politics. Neily is a frequent guest speaker and lecturer for the Federalist Society, Institute for Humane Studies, and American Constitution Society. Mr. Neily served as co-counsel in District of Columbia v. Heller, the historic case in which the Supreme Court held for the first time that the Second Amendment protects an individual right to own a gun for self-defense. Mr. Neily began his legal career as a law clerk to Judge Royce Lamberth on the U.S. District Court for the District of Columbia. After that he spent four years in the trial department of the Dallas-based firm Thompson & Knight. Mr. Neily received his undergraduate and law degrees from the University of Texas, where he was Chief Articles Editor of the Texas Law Review.